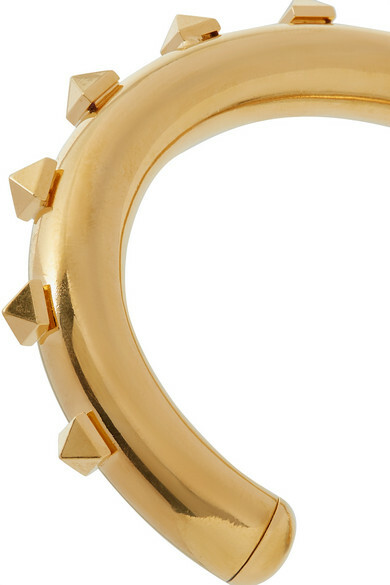 Valentino Garavani's cuff has been made in Italy from polished gold-tone metal embellished with the label's signature 'Rockstuds' along the open band. 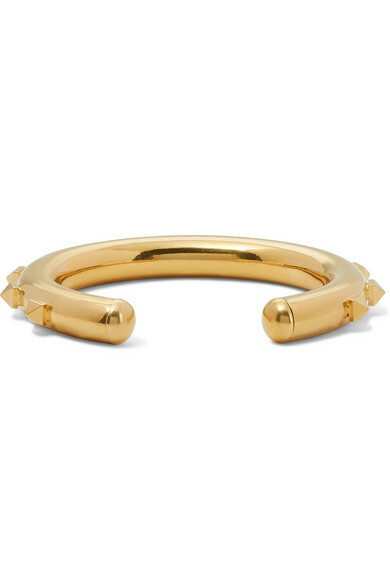 The substantial weight and size means it works really well layered with daintier bracelets or styled alone. Shown here with: Valentino Dress, Alighieri Necklace, Laura Lombardi Earrings.